Emily Rubino traced the history of remedies available to investors who have been defrauded by securities issuers. 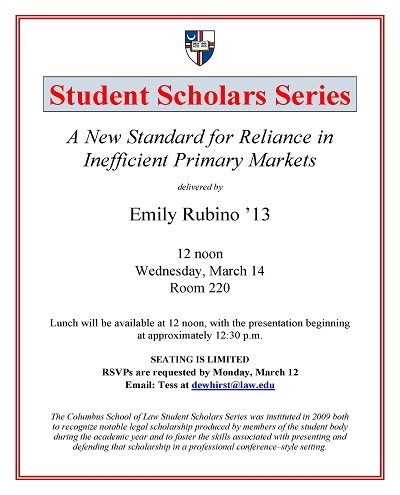 Rubino, Emily, "A New Standard for Reliance in Inefficient Primary Markets" (2012). Student Scholar Series. 11.